Moving directly away, place the front sight post above center of mass. For targets moving directly at you, align the front sight post below center of mass. For all other targets, align the front sight post with center base of the target with the appropriate lead. (3) Breath control. There are no changes except that you must hold your breath quickly because of the fleeting nature of moving targets. (4) Trigger control. There is no change in the application of this fundamental. Tip is aluminum or tip is painted blue with an aluminum ring. Armor-Piercing Incendiary Tracer (M20) Tip is painted red with an aluminum ring. Saboted Light Armor Penetrator (M903) Round is a Tungsten penetrator in an amber-tinted sabot. 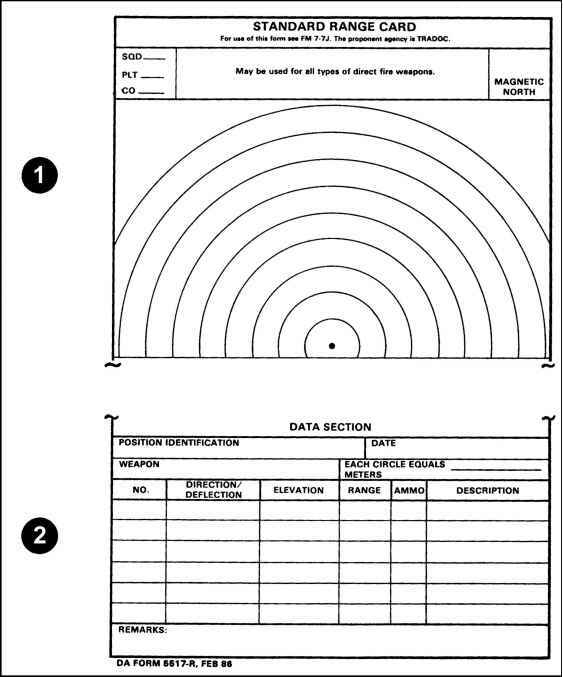 Saboted Light Armor Penetrator-Tracer (M962) Round is a Tungsten penetrator in a redtinted sabot. Blue plastic bullet with red tip and plastic case. Three holes are drilled in the cartridge case and there is no primer.